The workshop will bring together researchers, students and faculty from the midwest region of the United States, who develop and apply game and control theory to analyze, design and assess complex systems. This year we plan to highlight synergies between various related research areas, encourage discussions and facilitate collaborations on new game and control theoretic methodologies. The workshop is a one-and-a-half-day event, which starts at noon on April 25 and adjourns at noon on April 26. It comprises invited and contributed presentations. 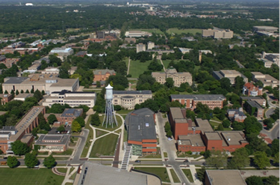 It was previously held at the University of Illinois at Urbana-Champaign in 2012, University of Notre Dame in 2013, and Ohio State University in 2014. Please contact Sourabh Bhattacharya (sbhattac@iastate.edu) if you have questions.